Do you live in Ohio, Colorado, Iowa, Nevada, New Hampshire, Virginia, or Florida? 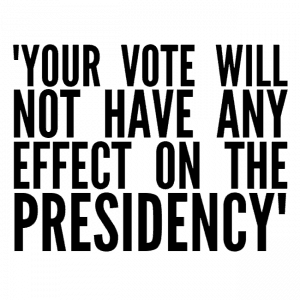 If not, your vote will not have any effect on the presidency. Your state is not contested, and you are not an elector. You are utterly and completely meaningless to the overall election. I say this because many people are going to tell you that this is the one year when you need to hold your nose and stick to your party (just like it was 4 years ago, and 4 years before that…) so as to not be a “spoiler”. 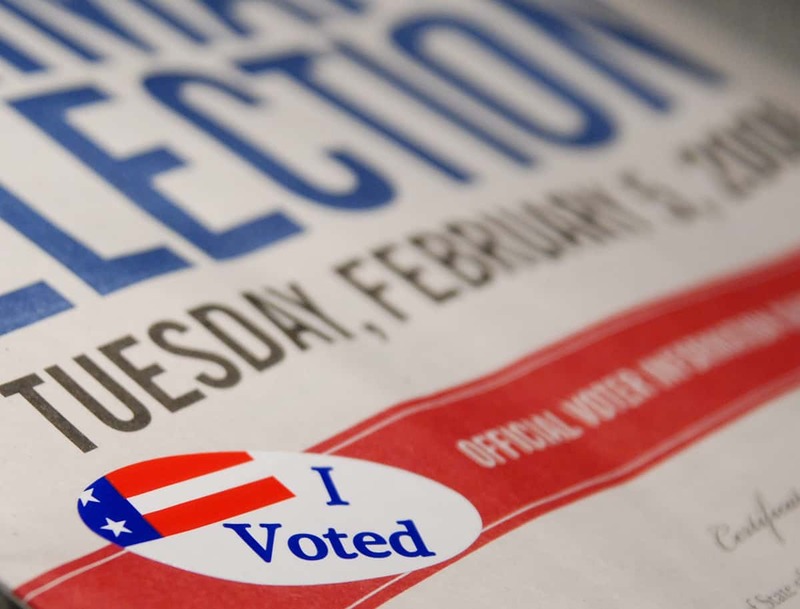 However, the hard truth is that your vote is not going to effect the election. This is a fact, not political rhetoric. As such, the only thing you can have any effect on is the general election numbers. So, if you want change, don’t vote “against” anyone. Vote for someone you actually support, no matter what their political party is. Show an increase in support for their viewpoint, and show the politicians in power that their are other viewpoints than theirs. That brings us to fact 3: Bernie Sanders is NOT a Democrat. Despite running in the Democratic Primary, Bernie has been an Independent socialist since 1979. Consider that for a moment: by calling himself a Democrat for a couple of months, without changing any of his policy points, an independent socialist from Vermont came within a single percent of gaining the Democratic Nomination. This is cold, hard proof that third party candidates can have the same level of support as the two de-facto parties. The only thing holding them back is people, just like you, who say “I can’t vote with my beliefs this year” or “It doesn’t matter that s/he’s right, s/he can’t win”. This leads to a single conclusion: for most of you, voting democrat or republican will be meaningless to the election. It serves only as a crutch that lets you say “I was on the team that voted against X”, without causing any change. To finish with a single personal stance, I believe that this sort of tribalism should have no place in modern politics, and I believe that most young people are ready to finally end it. Personally, I’ll be voting with whichever third party candidate is polling highest on the day of the election, but that’s just my opinion.